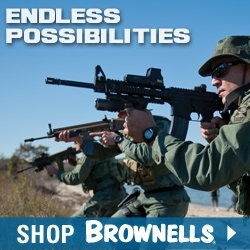 – All the Benefits, No NFA Paperwork! 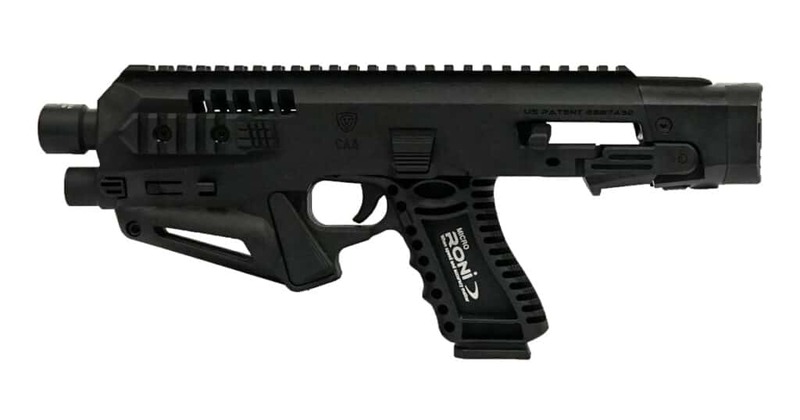 The Micro RONI Recon, available for the popular GLOCK pistol platform, offers all the RONI benefits with No NFA paperwork, No tax stamp and No wait time. 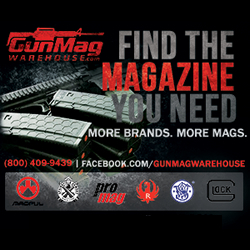 Pompano Beach, Fla. (March 2017) – (ArmsVault.com) – CAA, developers and manufacturers of advanced battle-tested firearms accessories, announce the Micro RONI Recon pistol carbine conversion for GLOCK Models 17, 22, 31 (Part # MIC-RONI-RECON17) and Models 19, 23, 32 (Part # MIC-RONI-RECON19) is ready to ship to dealers across the country and available without any $200 NFA tax stamp or wait period. Literally, buy it and take it home the very same day. The Micro RONI Recon allows the user to simply, and without tools, insert the pistol into the platform. The pistol, now secured in the Micro RONI Recon platform offers a better grip during all shooting scenarios, enhancing shooter performance and accuracy, while reducing felt recoil The Micro RONI Recon’s durable polymer body is a lightweight system that provides greater stability and also allows for faster sight acquisition. 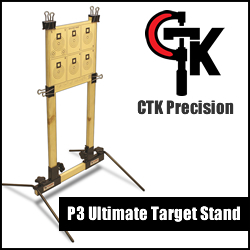 The platform also has two 2.25″ side rails and a 9.4″ top rail for accessory mounting points for lights, lasers or other equipment. 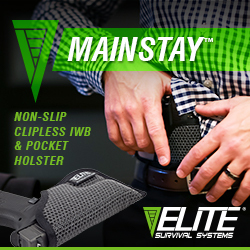 The trigger-guard safety and charging handle are both ambidextrous. 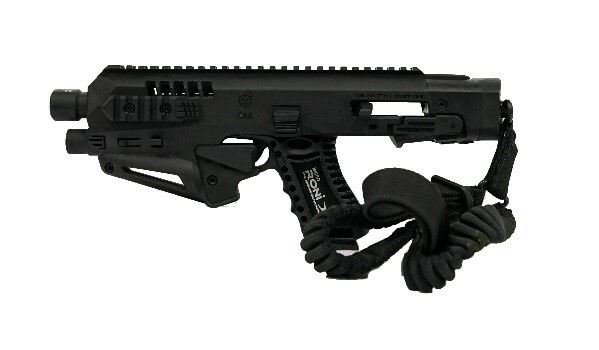 In addition to the base model, there is a Micro RONI Recon option with the PRO model that includes the Micro RONI Recon with a sling swivel (PBSS) and one point sling (OPS). “The Micro RONI family is not only the fastest assembly/disassembly conversion kit on the market, but also the most cost effective by far. The improvement in accuracy needs to be seen to be believed,” Lt. Col. (Ret. IDF) Mikey Hartman, CEO of CAA and Hartman Optics explained. Be a part of the conversation on YouTube, Facebook and Instagram.